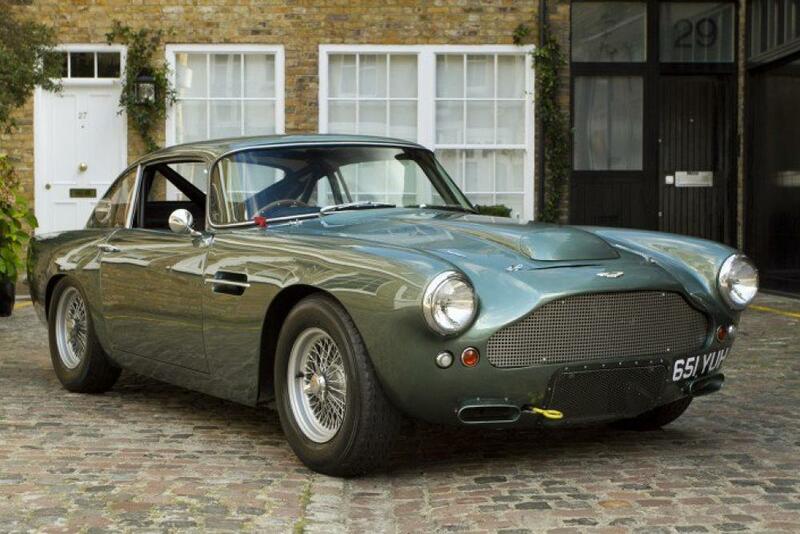 It should be noted that the DB4 was a milestone in the history of Aston Martin in that this model was the first car to be built at the company’s Newport Pagnell works. Without doubt DB4 is regarded by motoring experts as an iconic motorcar and probably the best sport car of its era. Our car was supplied new on 28th April 1960 by Brooklands Ltd to Extol Engineering Ltd of London W1. Frequently used by its owner, covering an impressive mileage with documented Aston Martin service history through to June 1965. The DB4 continued to be enjoyed as a road car until the mid-1970’s, when it was converted to Lightweight racing specification by the renowned marque specialist, Richard S Williams, who further fettled the vehicle for racing in the late 70’s for its then owner, the esteemed Aston Martin afficianado, Lord Downe. Possessing a competition record second to none; whilst it was campaigned by Mike Salmon between 1982 and 1985 it was unrivalled, claiming 13 wins at Silverstone, Brands Hatch, Oulton Park and other major British circuits. Shipped to the USA, it competed between 1986 and 1987 at Laguna Seca, Watkins Glen and Sebring with Peter Livanos (A previous co-owner of the Aston Martin Factory) behind the wheel. By the early 1990’s ‘DB4/315/R’ was back in the UK and successfully resumed its competition career in this country. Fully restored by Richard S Williams in 1998 and stored until 2004 at which point it was re-commissioned by the same firm; at the time of restoration the special RSW, full race, 4.2-litre engine was rebuilt and dyno’d. Compression tested in 2004, all cylinders recorded a healthy 165psi reading! Panelled in aluminium, this stunning example of the lightweight road /racing DB4 is number 9 of 24 on the AMOC register, and without doubt the most prestigious racing pedigree of them all. The DB4 has just completed a full post sales / service preparation at an official factory Heritage dealer Aston Engineering Ltd, so now ready to be enjoyed and have fun with! A fantastic opportunity to acquire a DB4 that could be eligible for several classic racing series but also being road legal presents a unique opportunity for an owner wishing to compete in track, fast road and touring events in a historical Aston Martin DB4 Lightweight.